Last year, California Humanities issued more than $1 million in grants to artists and cultural organizations. But now, the National Endowment for the Humanities’ state partner has suspended grant-making indefinitely as the historic federal government shutdown nears its sixth week. 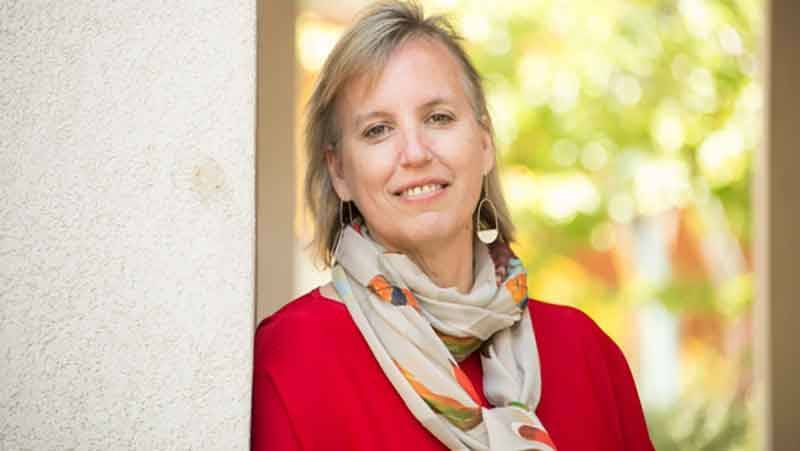 The independent nonprofit, which has offices in Oakland and Los Angeles, is operating on an “austerity basis,” CEO Julie Fry told KQED, unable to release even already awarded grants. In the final two months of 2018, California Humanities awarded more than 30 grants totaling approximately $350,000. But the release of the funds, in some cases expected to occur this month, is now delayed. Likewise, interim and final payments of earlier grants are on pause until further notice. Fry said the National Endowment for the Humanities (NEH) contributes a “significant portion” of California Humanities' grant-making budget. Last year California Humanities awarded just over $1,030,000 to 98 projects statewide in categories such as documentary filmmaking and library innovation. Now, though, the organization is pausing even travel and office expenses. “We’re making do with what paper towels we already have,” Fry said. Across the country, the National Gallery of Art as well as 19 Smithsonian museums are closed due to the shutdown. Their employees are among an estimated 800,000 federal workers furloughed or otherwise deprived of at least one paycheck during the holiday season. The government shutdown, now the longest in history as President Donald Trump demands billions for a southern border wall that he'd promised Mexico would pay for, has also shuttered both the national endowments for the arts and humanities, which together disburse nearly $300 million nationwide each year. 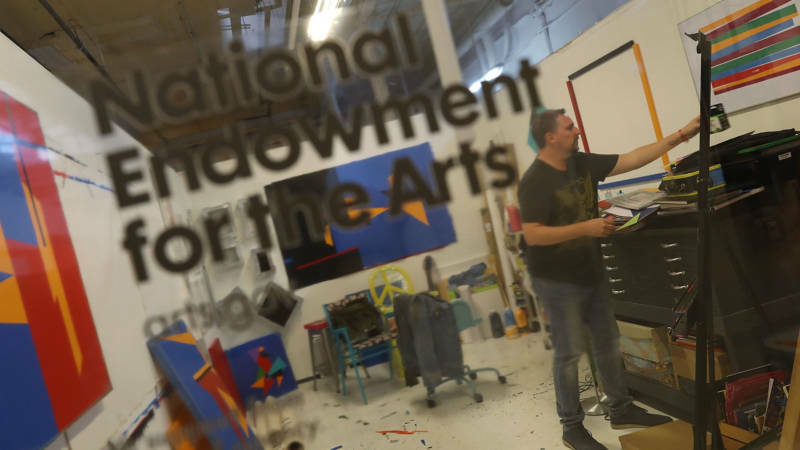 For Bay Area artists and cultural nonprofits reliant on the national endowments, either directly or through state-level groups such as the California Arts Council and California Humanities, the shutdown has destabilized an already precarious ecosystem. (A spokesperson for the California Arts Council said the shutdown has yet to impact its grant-making, noting that the agency plans to issue 2019 awards at the end of June.) Yet even if the government reboots tomorrow, arts figures tell KQED, the consequences will be felt for the rest of the year. The shutdown is also a reminder of Trump’s threats to cut the national endowments altogether. Last year, the NEA issued $1.7 million to Bay Area arts groups. 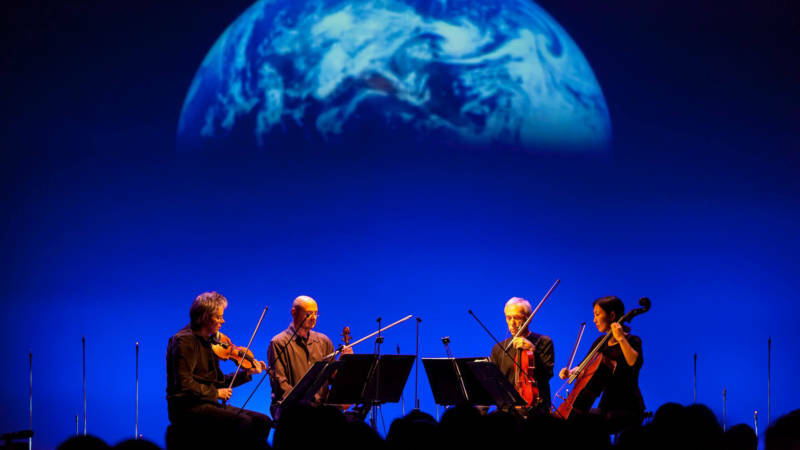 For small to medium-size arts organizations such as the Kronos Quartet's Kronos Performing Arts Association, the NEA shutdown is a major source of anxiety. Kronos development manager Mason Dille said he doesn’t know when to expect reimbursement for NEA-supported projects, and his agency contacts simply aren’t at work to field questions. “Any delay in the application process now might impact the work we are able to do far into the 2019-20 season,” he said. 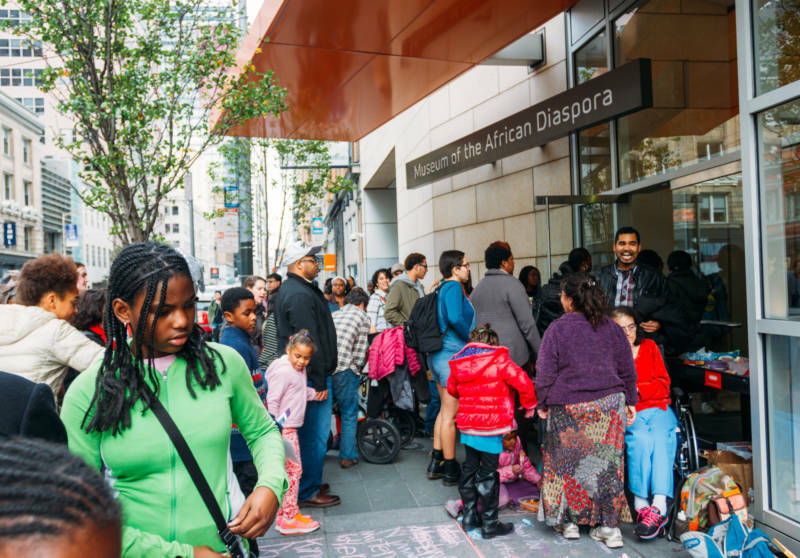 James Leventhal, interim director and chief development officer at Smithsonian affiliate Museum of the African Diaspora, said he hasn’t heard from his furloughed national colleagues for the past three weeks. As a Smithsonian affiliate, MoAD is one of some 200 resource-sharing museums. So the lack of communication could jeopardize events such as a mid-February concert for local middle-school students featuring the Smithsonian Museum Jazz Masterworks Orchestra. Although the national endowments are still accepting grant applications, organization leaders can’t communicate with the agencies as deadlines near, and the ultimate effect on processing time is unclear. 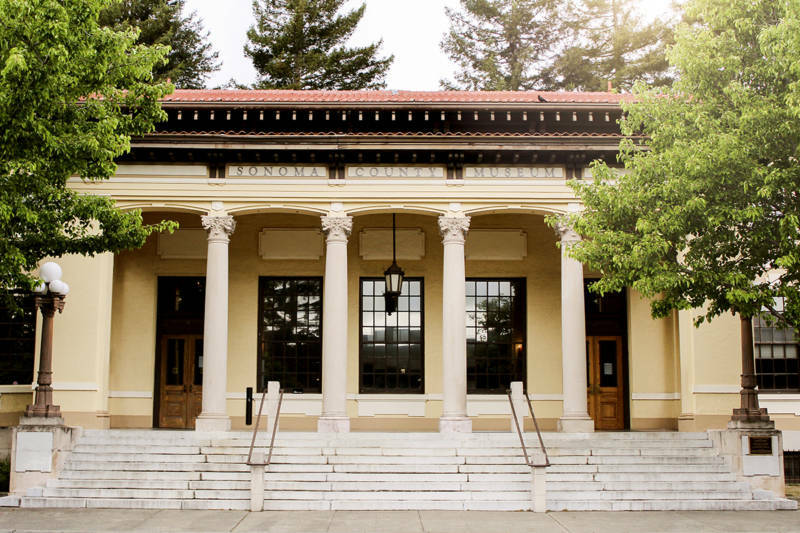 “I’m working on a NEA grant and we’re concerned that the Feb. 5 deadline for filing is quickly approaching,” said Jeff Nathanson, executive director of Museums of Sonoma County. At the bottom line, the national endowment shutdown is interrupting cash flow, especially for nonprofits with little reserves. 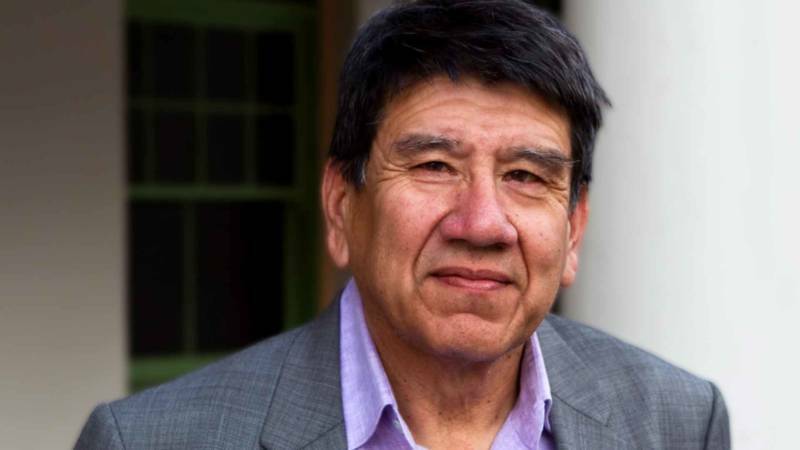 Roberto Bedoya, Oakland’s cultural affairs manager, said last year the NEA supported his department’s development of the city’s Cultural Plan, sending a check within a month of receiving his invoice. “Now that’s not happening,” Bedoya said, adding that some nonprofits in the Bay Area, with its astronomical overhead, are a grant or two away from folding. The national endowments, like the southern border wall, have themselves been points of federal budgeting contention for Trump. In both 2017 and 2018, Trump proposed eliminating the agencies entirely before Congress intervened. The NEA and NEH are a minuscule fraction of the budget, and governments of most developed countries vastly outspend the United States on arts and culture. At this point, Fry said, the subject of elimination feels unsurprising. “It comes up on a cyclical basis—cultural agencies are on the table,” she said. On the other hand, Congress recently proposed raising the allocation to the National Endowment for the Humanities, subject to Trump's signature. “We’ll have to wait for the president’s approval of that when the government reopens,” Fry said. KQED's Sarah Hotchkiss, Gabe Meline, Nastia Voynovskaya and Chloe Veltman contributed to this report.